When installing a Fiberglass Bath and Shower Unit there is a couple of tips a homeowner can do to help ensure a quieter and better looking finished bathroom. Use insulation as a noise filter to deaden the sound of falling water. First, insulation on the floor where the Bath and Shower unit will be installed. This is particularly important for upstairs bathrooms. Second, insulation between the wall studs where the Bath and Shower unit will rest up against. Future having sound asleep occupants of neighboring bedrooms will thank you. Normally the Bath and Shower Unit is secured with Nails or Screws near the edge of the unit. The thickness of the Unit is approximately 1/8 inch thick. By using narrow strips of Asphalt shingles you can help smooth the transition from the edge of the Unit to the surrounding Stud edge surface, thus creating a more finished wall appearance when the Sheetrock is applied. Our team of plumbers uses state-of-the-art equipment to locate concealed leaks. Water leaks can cause serious damage to your home and furnishings in a short time, so don't wait to have your home inspected. Our well trained plumbers will arrive at your home in a timely manner and locate and repair the source of your plumbing problems quickly. We're proud to employ the best plumbers available! 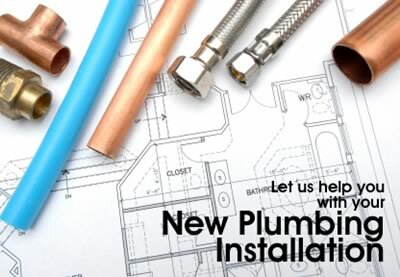 Our fully trained plumbers respect your time as well as your home and they'll get the job done right the first time. Guaranteed! Our trucks are fully stocked with thousands of repair and replacement parts. This means that of the time we can solve your plumbing problem on-the-spot... saving you valuable time and money!